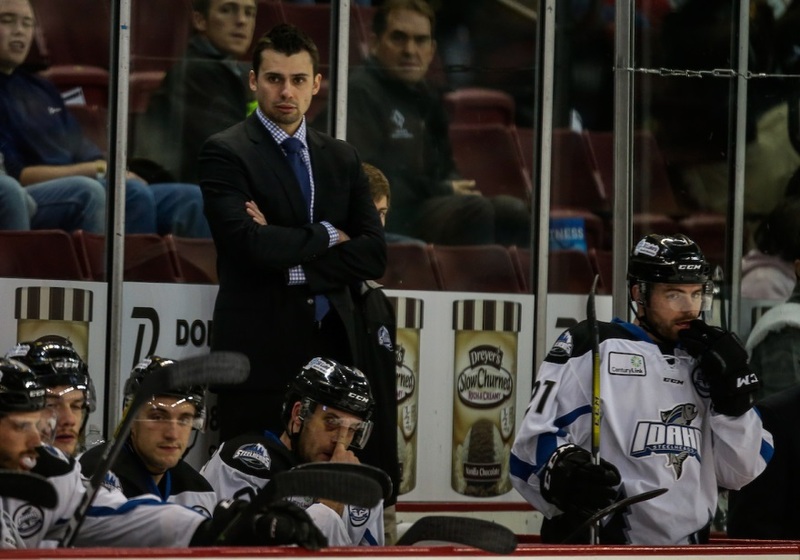 Earlier this week, the Idaho Steelheads announced that they had re-signed their head coach, Neil Graham, until the end of the 2018-19 season. Graham maintained the longest playoff streak in professional hockey, extending a long history of success in Boise for the ECHL and former WCHL squad. I caught up with Graham this week as he continues to prep for the coming season. With some distance from last season, he's had some time to reflect on the year, which saw a first round exit for the Steelheads at the hands of the eventual ECHL champions, the Colorado Eagles. "It was a pretty good season. You lose sight of how good of a year it was with the early exit in the playoffs. 43 wins and we finished 6th in the entire ECHL. We were trending upward heading into the playoffs. It was tough to lose out in the first round." In each of the last two years, the Kelly Cup champ has come from Idaho's division: Allen in 2016 and Colorado this year. Graham knows that "getting out of our division" is a key marker of playoff success for his club on the way to the championship. "Our goal every season is to win the Kelly Cup. We just have to be that much better for the postseason." To get that much better, Graham is still in his office in late July working the phones and consulting dozens of lists and spreadsheets while doing it. "We're trying to find players that fit our mold and match on and off the ice with the returners we have coming back. We put time and homework in over the summer to make that happen." The club wants to add scoring depth, team toughness and speed. Team toughness, Graham notes, doesn't mean fighting; it means being tougher to play against throughout the lineup. A goalie battle is set up in Cedar Park between former Steelheads Landon Bow and Philippe Desrosiers. Graham expects one of the two in Boise to start the season. "It's always an open dialogue with the affiliation. Right now, it's a wait and see. I know I will see a goaltender from the affiliation. They have to do what's right for their current roster and the long term development of their prospects." 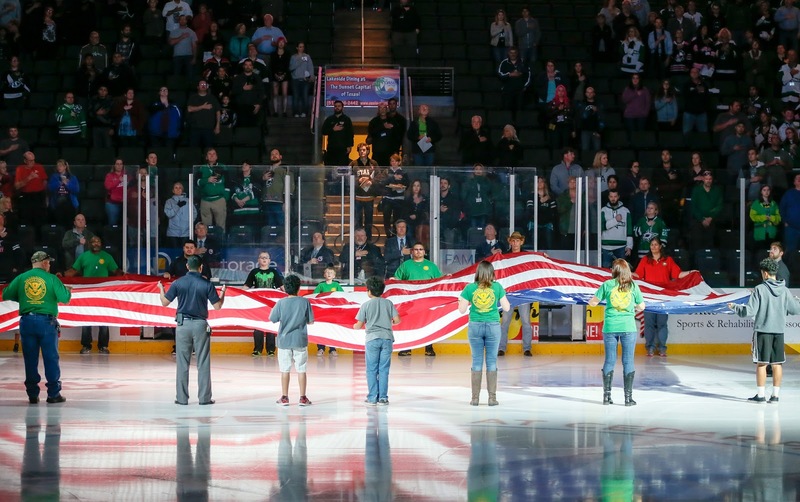 The Texas Stars have announced their typical preseason schedule, a home-and-home against the San Antonio Rampage. The game will be an early one, starting at 5 PM on a Saturday night. The Stars and Rampage will play a total of 16 times this season, barring playoff meetings. The Texas Stars, American Hockey League affiliate of the NHL’s Dallas Stars, announced Thursday the team will play a preseason home-and-home series against their in-state rival, the San Antonio Rampage, prior to the start of the 2017-18 campaign. 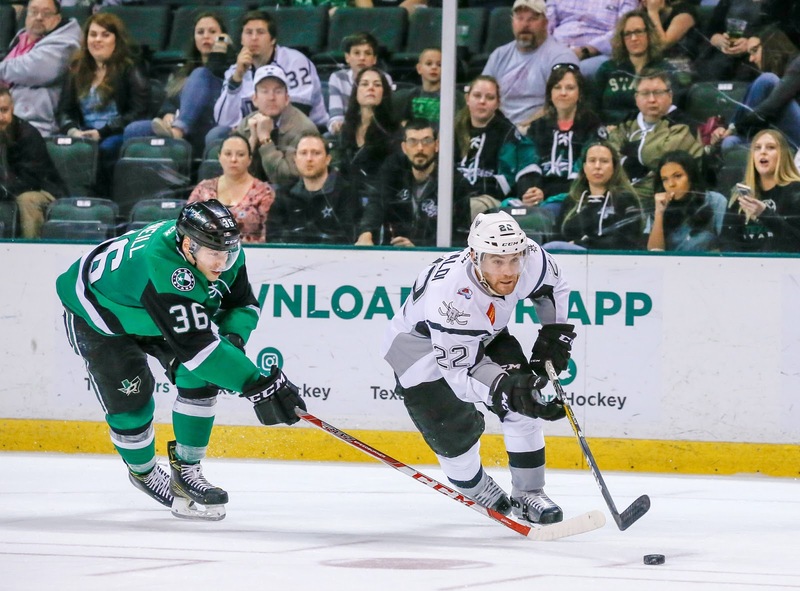 Texas will visit the Rampage at AT&T Center on Friday, Sept. 29, at 7:30 p.m. CST. The following night, the Stars will host the Rampage at 5 p.m. CST for their final preseason tune-up before the start of the regular season. Tickets for the Sept. 30 preseason game at H-E-B Center will go on sale at a later date. The Texas Stars have added two more forwards to the lineup for 2017-18 in rookies Samuel Laberge and Max French. Laberge attended Dallas Stars Development Camp, which wrapped up this week, after closing out a four-year stint with Rimouski Oceanic in the QMJHL. French just finished up four years at Bentley University in Canada. The two will compete for jobs in this fall's training camp. If they are not selected, they will likely head to Idaho to serve as call ups and assist the Steelheads in making yet another playoff push. The Texas Stars, American Hockey League affiliate of the NHL’s Dallas Stars, announced Wednesday the team has signed rookie forwards Max French and Samuel Laberge for the upcoming 2017-18 season. French, 24, begins his professional career after finishing a four-year stretch at Bentley University. The West Kelowna, British Columbia native tallied 143 points (67-76=143) in 138 career games for Bentley. 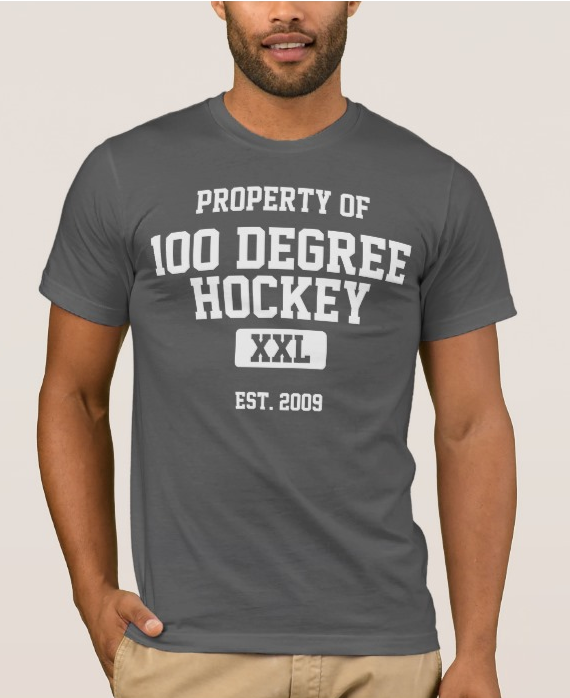 Prior to his time in college, the 5-foot-10, 185-pound forward played from 2008-2013 in the British Columbia Hockey League for the West Kelowna Warriors with 149 points (67-82=149) in 193 games. Laberge, 20, spent the last four seasons with the Rimouski Oceanic of the Quebec Major Junior Hockey League and recorded 120 points (55-65=120) in 166 career games. The 6-foot-2, 200-pound forward was teammates with Stars goaltender Phil Desrosiers for two seasons with Rimouski from 2013-2015. The Chateauguay, Quebec native was a member of Rimouski’s QMJHL championship team in 2014-15 and also played in four Memorial Cup games that season. The Dallas Stars have signed Gemel Smith on a one-year, two-way deal, leaving Jamie Oleksiak as the only unsigned Dallas RFA. While roster moves at the NHL level are likely to place Smith as a first callup option in Texas, depending on the summer he has he may be able to surprise in camp and earn a spot in Dallas. Dallas Stars General Manager Jim Nill announced today that the club has re-signed forward Gemel Smith to a one-year, two-way contract. Smith, 23, posted six points (3-3=6) in 17 games with Dallas last season in his first NHL campaign. The forward made his NHL debut on Oct. 22 against Columbus and registered his first career NHL point with an assist (0-1=1) on Nov. 5 vs. Chicago. He also appeared in 53 games in 2016-17 with the Texas Stars of the American Hockey League (AHL), registering 33 points (12-21=33). Smith was tied for fourth on the club in assists (21) and his three shorthanded goals last season shared eighth in the AHL. 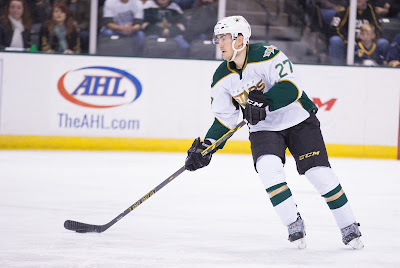 In his career, Smith has played 186 regular-season AHL games over the span of three seasons with Texas. In total, he has posted 86 points (35-51=86) with a +10 plus/minus rating and 106 penalty minutes. Smith has skated in three career Calder Cup Playoff contests, recording four shots on goal. Earlier than ever before, the AHL has released the league schedule this afternoon. 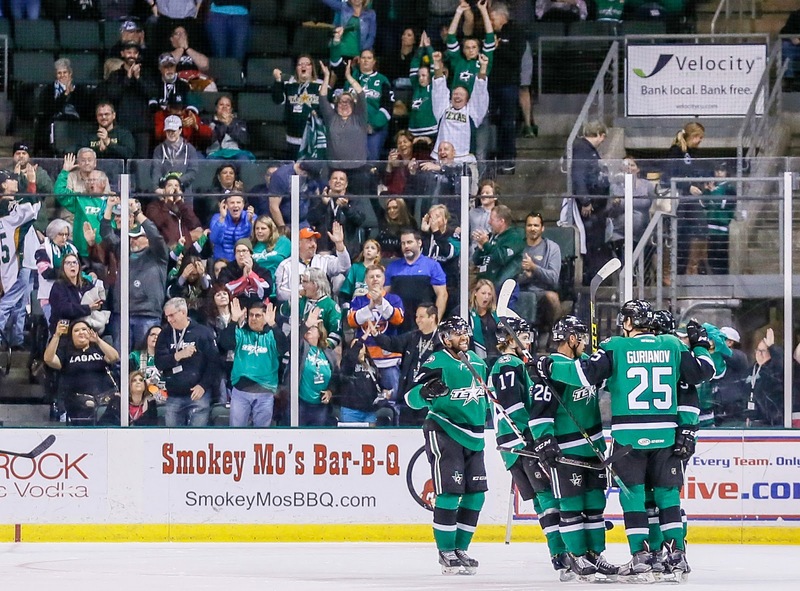 The Texas Stars will play 76 games evenly split between home and away contests. The opponent slate is exclusively Western Conference and heavily Pacific Division, kicking off on October 6th against Chicago. The Stars' most frequent opponent will be San Antonio, as usual, with 14 contests total between the I-35 rivals. Their longest road trip will span 7 games from Saturday, November 18th to Saturday, December 2nd. During that stretch, they will play in San Antonio, Chicago, Cleveland, Grand Rapids and Rockford. The road trip will be followed by the longest home stand, 5 games from December 5th to 20th. In addition, Texas has several four-game home stands and makes a six-game trip to California and Manitoba in mid-January. Given the Western conference slant, the Stars will not see new additions to the league Belleville or Laval. The schedule, as always, is heavy on Fridays and Saturday both home and away. There are no Monday home games at all and only two on Tuesday. As in prior years, all weekend home games start at 7:30 PM, and Saturday games start at 7:00 PM. Texas will play its only three-in-three weekend much earlier this season. In 2016-17, the team's only 3-in-3 came in the last month of play. This year, the third weekend will see a home-home-away setup with San Antonio. Finally, the Stars will of course be competing in a division with the California teams and Tucson, who only play 68 games. Find the full schedule on TheAHL.comhttp://www.TheAHL.com. The Texas Stars added to their experience on the backend this afternoon as they announced the signing of Matt Mangene to an AHL contract. Mangene has played for Texas over the past three season, often being called upon to play as a forward during more sparse roster stretches. He is on the official roster as a defenseman and quarterbacks the power play quite often regardless of where he plays at even strength that night. Defensemen under contract and expected with Texas now include Gavin Bayreuther, Andrew Bodnarchuk, Ludwig Bystrom, Niklas Hansson, Dillon Heatherington, Chris Martenet, Brent Regner and Matt Mangene. Shane Hanna will likely head to Idaho unless he can push past those players. 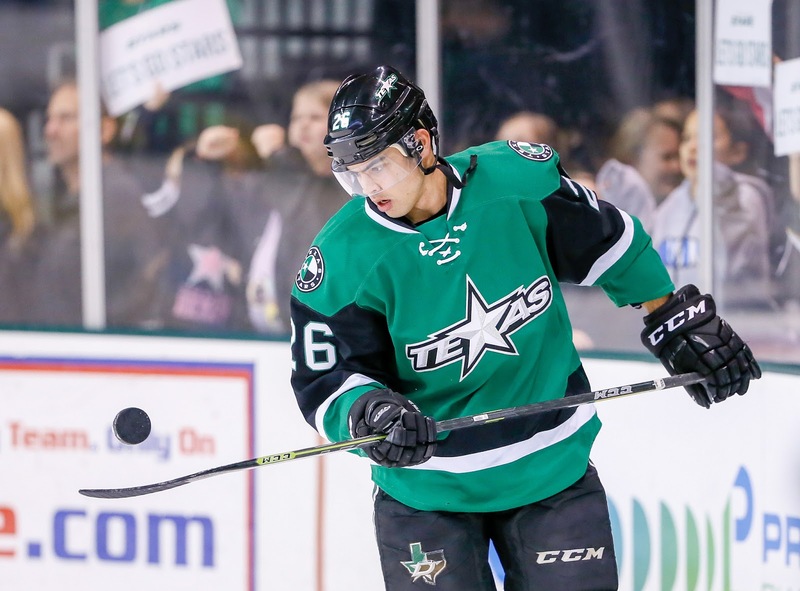 The Texas Stars, American Hockey League affiliate of the NHL’s Dallas Stars, announced Thursday the team has signed defenseman Matt Mangene to an AHL contract for the upcoming 2017-18 season. Mangene, 28, returns for his fourth season in Cedar Park. Last season, the 5-foot-11, 190-pound blueliner tallied 27 points (8-19=27) in 66 games for the Stars. In his three previous seasons in Texas, Mangene (MAN-jeen) has appeared in 143 games with 54 points (13-41=54). The Manorville, N.Y. native has competed in 245 AHL games in his career with Texas, the Adirondack Phantoms and Bridgeport Sound Tigers with 71 points (21-50=71). The Texas Stars announced this morning that they have signed forward Greg Rallo to an AHL contract. It will be the third stint with the Texas Stars for the American-born forward, who was part of the inaugural squad in 2009. 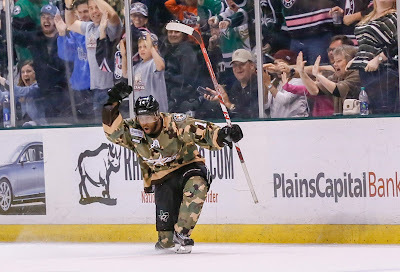 Over four seasons with Texas, Rallo accumulated a number of franchise records, placing him behind only Travis Morin in power play goals, third in total goals, fourth in points and seventh in games played. Rallo went overseas last season, playing with the Iserlohn Roosters in the German league, DEL. He had 25 points in 45 games, missing some time due to injury. Rallo's return gives Texas another solid veteran in the forward ranks, already bolstered by the constant presence of Travis Morin. Interestingly, the Stars could have a veteran rule issue with the addition of Rallo. The AHL is primarily a development league and limits the number of veteran players who can be dressed in each game. The rules allow for 5 players with more than 320 games of professional experience and one 'tweener' who has between 260 and 320 games. Goalies are exempt. Texas has currently Travis Morin, Greg Rallo, Andrew Bodnarchuk, and Brent Regner north of 320 games. Mark McNeill, Justin Dowling, and Ludwig Bystrom are all between 260 and 320 (counting Bystrom's time in the SHL, which qualifies). This means someone from that group will need to be scratched regularly. The last time Texas had this issue was late in the 2013-14 season. Francis Wathier, a veteran, was sent to Milwaukee for Kevin Henderson, who was not a veteran, to alleviate the issue. The Texas Stars, American Hockey League affiliate of the NHL’s Dallas Stars, announced Wednesday the team has signed veteran forward Greg Rallo to an AHL contract for the 2017-18 season. Rallo, 35, returns for his third stint with the Stars. The 6-foot, 195-pound forward is third all-time in franchise history with 94 goals, fourth with 191 points and seventh with 276 games played. His 39 power play goals are also second-most in team history. The Gurnee, Ill. native spent last season in Germany and recorded 25 points in 45 games for the Iserlohn Roosters of the Deutsche Eishockey-Liga. The 2017-18 season will be Rallo’s 11th in the AHL and fifth with the Stars. The veteran has appeared in 586 AHL games in his career overall and tallied 330 points (160-170=330) with Texas, the San Antonio Rampage, Manitoba Moose, Albany River Rats, Rockford IceHogs and Iowa Stars. Previously in his career, Rallo (RAH-loh) skated for Texas from 2009-2011 and 2014-2016. He has also competed in 11 games for the NHL’s Florida Panthers with a goal. 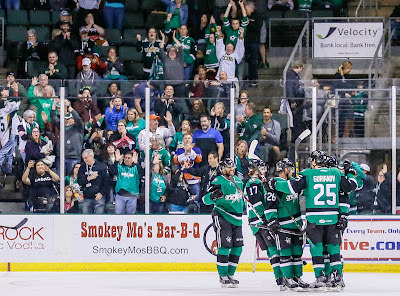 Despite all my predictions and preconception, the first few days of free agency were exceptionally relevant to the Texas Stars. Usually you won't see deals rolling in for players with AHL impact until after Independence Day. This yea, Jim Nill and Scott White attacked players with big time potential to improve their AHL team by a wide margin. The first one to mention, while it wasn't the first one announced, is in the net. Goaltending was a bit of a mess for the Texas Stars last season. Justin Peters was supposed to calm the waters and provide a veteran presence, but he was unable to right the ship and the Stars missed the playoffs. To remedy that, Texas swung big. Scott White has added Mike McKenna, a quality AHL veteran who is coming off a trip to the Calder Cup Finals with Syracuse. Through an AHL career that spans back to 2005, McKenna has been solid and reliable for almost a dozen different teams. Over more than 400 games, he's 206-163-21 with .913 SV% and 2.70 GAA inluding 26 shutouts. He brings 45 games of AHL playoff experience, including his most recent stint in Syracuse where he was 13-9 with .911 SV% and a 2.68 GAA. Regardless of what happens in the backup slot for the Texas Stars, the veteran #1 position is solidly filled by McKenna. For what it's worth, he's also a great quote, so it should be fun to hear from him more this season. Brent Regner, a defenseman, is the next pick-up. He comes from Springfield most recently but will be more familiar to Stars fans as a Chicago Wolf. He put up 13 points in just 28 games last season and fits solidly into the AHL lineup for Texas. Finally, Brian Flynn is a player who could spend time with Texas. While he did play 51 games with Montreal last season on a one-way deal, Dallas has signed him to a two-way deal with a guaranteed total contract value of $350,000, according to CapFriendly. The forward hasn't seen time in the AHL since 2013, however.